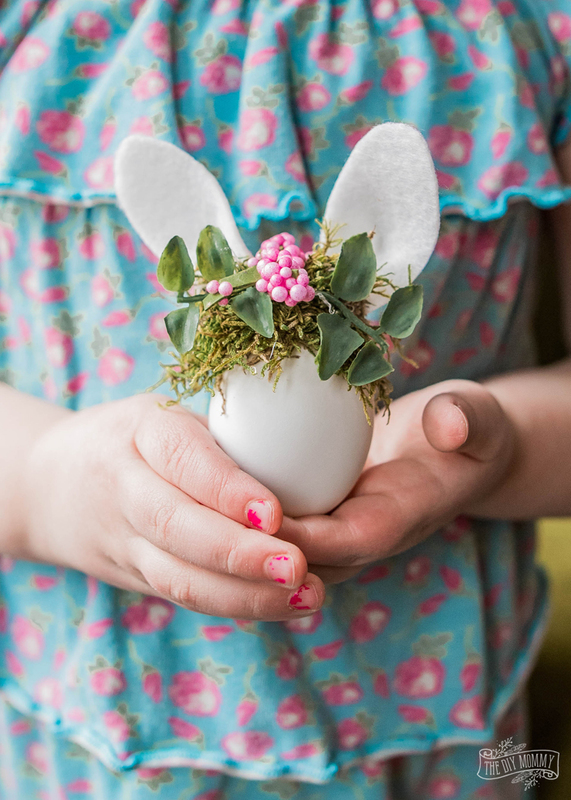 Learn how to make sweet little Easter bunny eggs… with tiny floral crowns, of course! 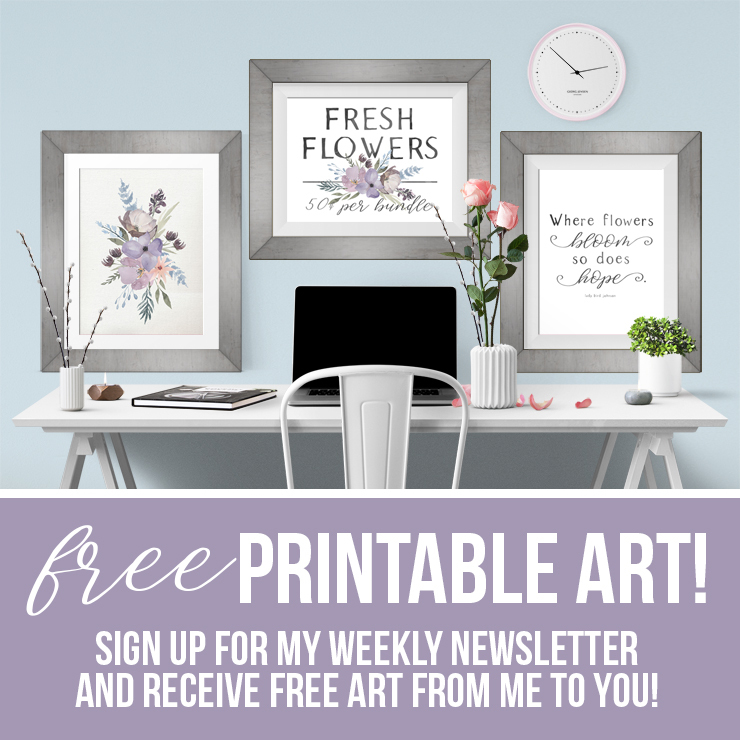 This is a fun Spring craft for you and your kids (or just for you)! 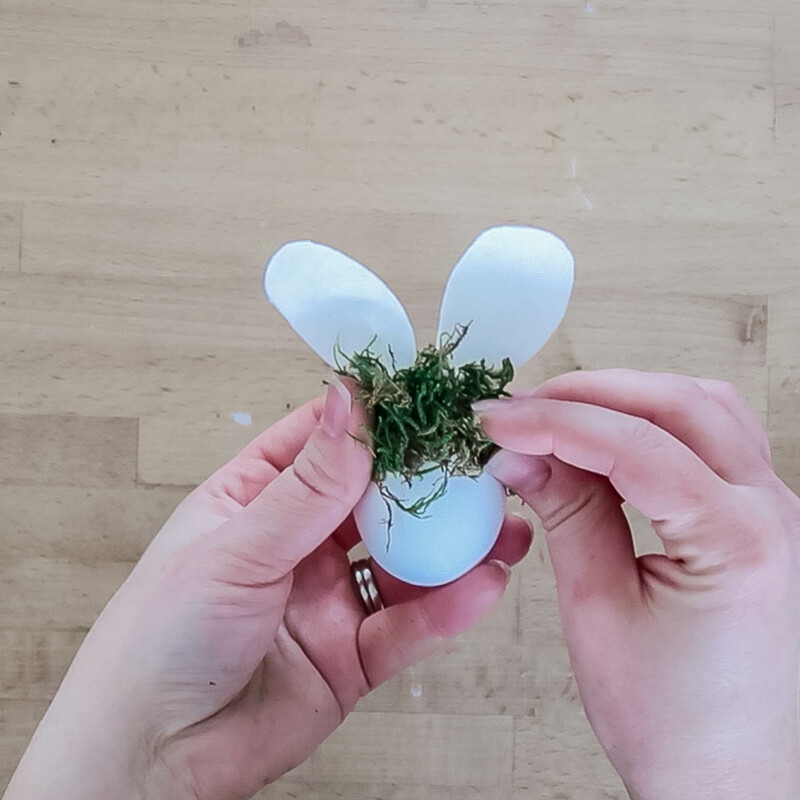 This post is part of an Easter egg decorating challenge that I’m taking part in with some other fabulous creators. After you read my post, make sure to check out the bottom of this entry to see what my friends created! 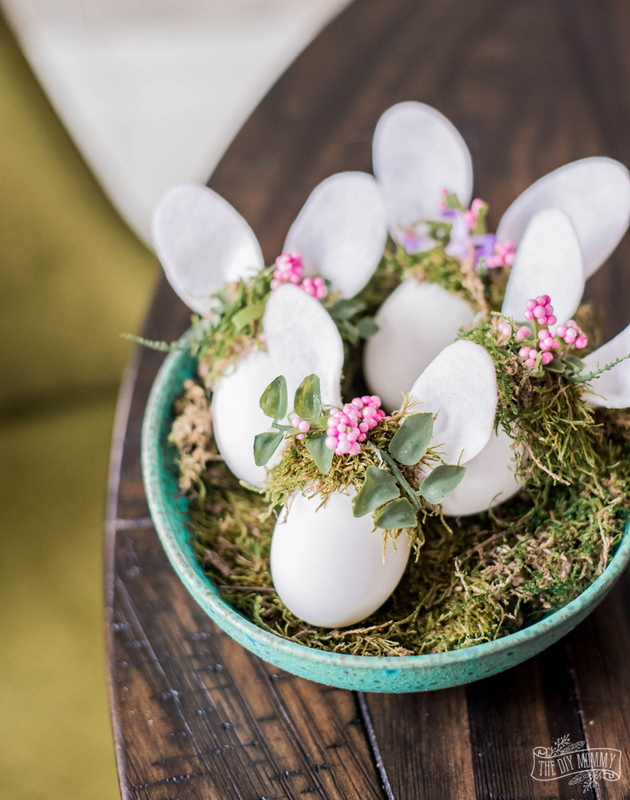 For my egg-y project, I ended up turning my Easter eggs into mini bunnies with tiny floral crowns. I don’t know! It just happened! 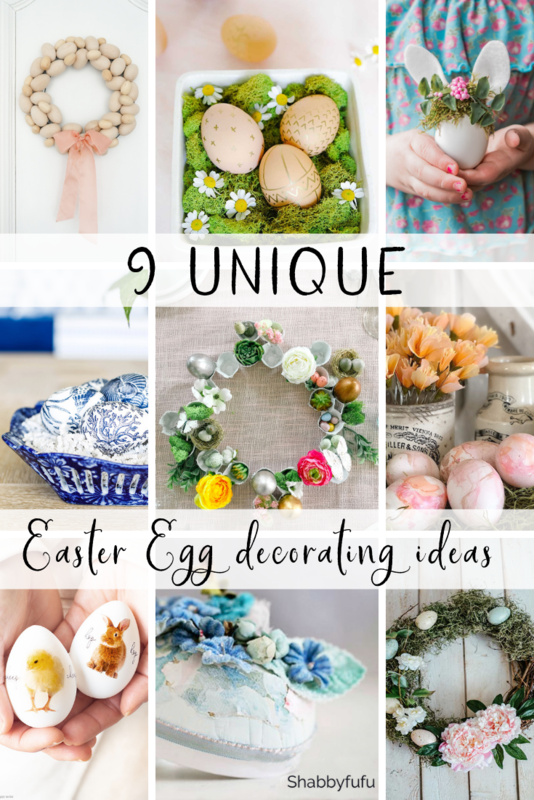 I had grabbed a whole bunch of crafty supplies from the dollar store like gold leaf, small beads, metallic ribbon and felt, but every egg decorating idea I tried – from gold leafing to Mod Podge beads – was a fail. 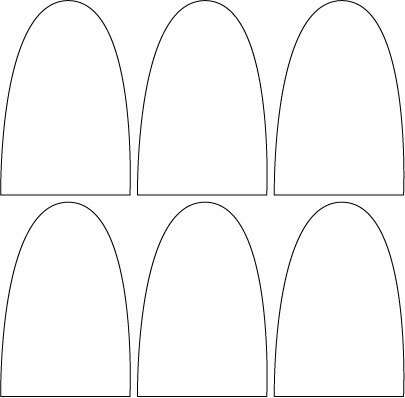 Then, as I was cutting out some little felt bunny ears for another Easter project I was working on I thought: “Hey! 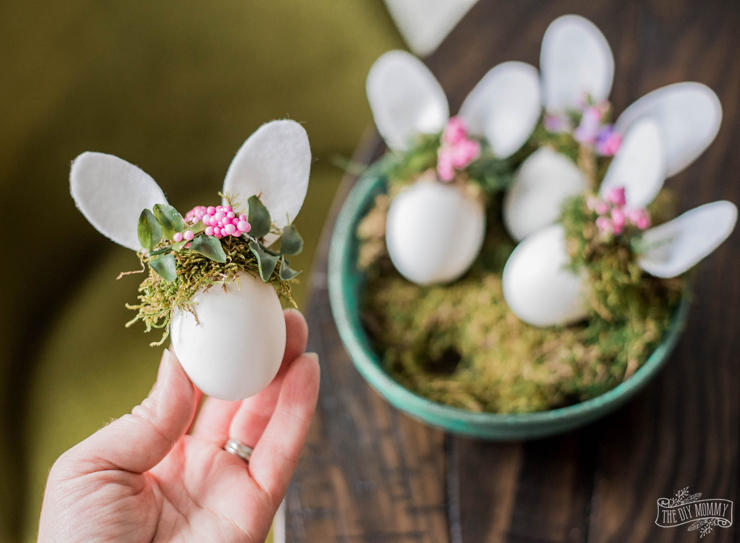 These could be super cute on top of eggs, too!” All at once, I knew that I was going to make the tiniest egg bunnies with the tiniest moss and floral crowns. And everything is from the dollar store! 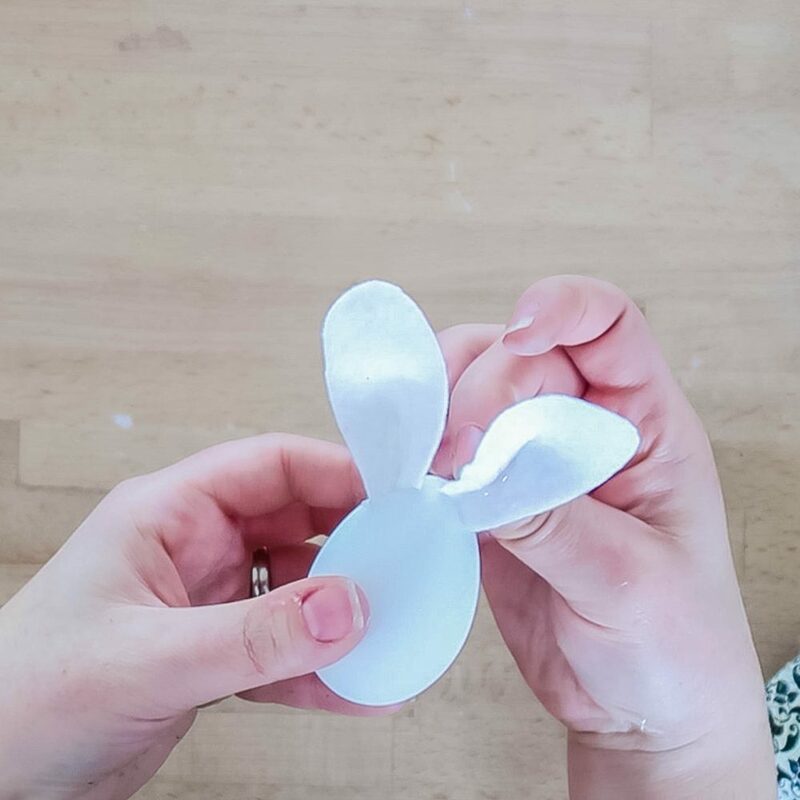 Cut out two ears from white felt for each egg you want to decorate. Then, pinch each ear at the bottom as pictured above and put a dab of hot glue in the fold to keep the pinch in place. Repeat for the remaining ears. 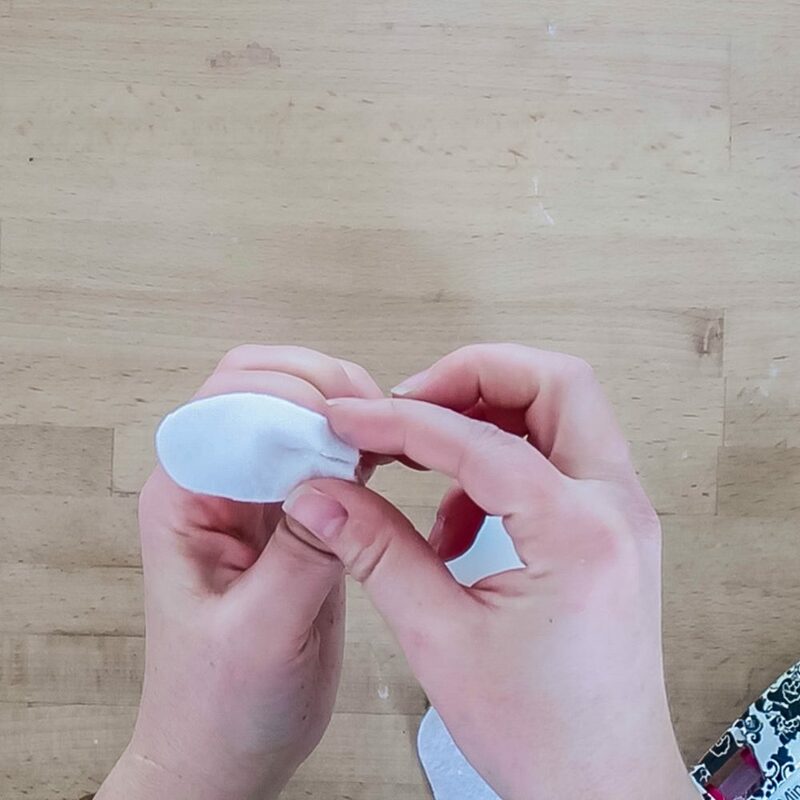 Next, glue the ears on top of a plastic egg with the glue gun. 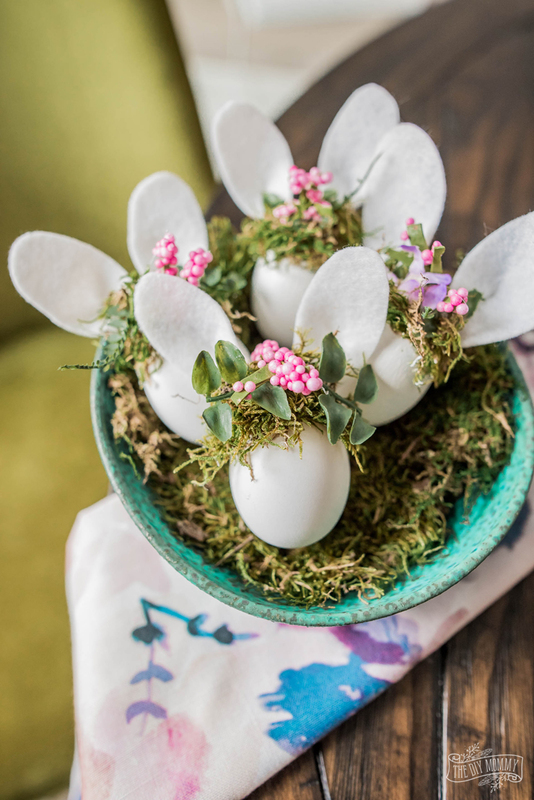 Finally, attach moss, small faux greenery and small faux flowers to the top of the egg between and around the ears. You can also draw a face on the bunny with a permanent marker, but I love how they look just like this. 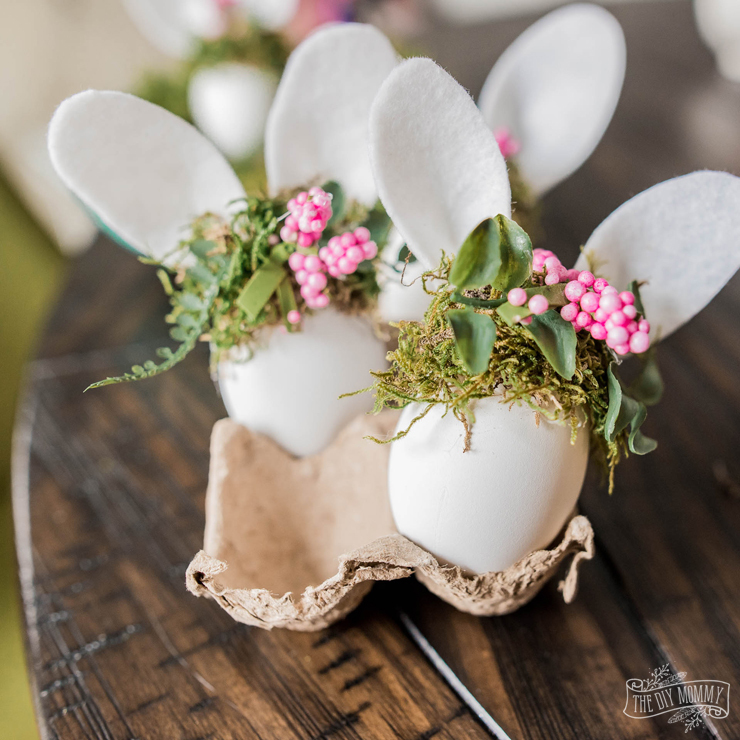 These are so easy to make, inexpensive, and adorable for your Easter decor this year. 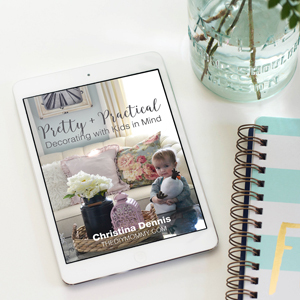 And they’re a fun craft to do with kids! 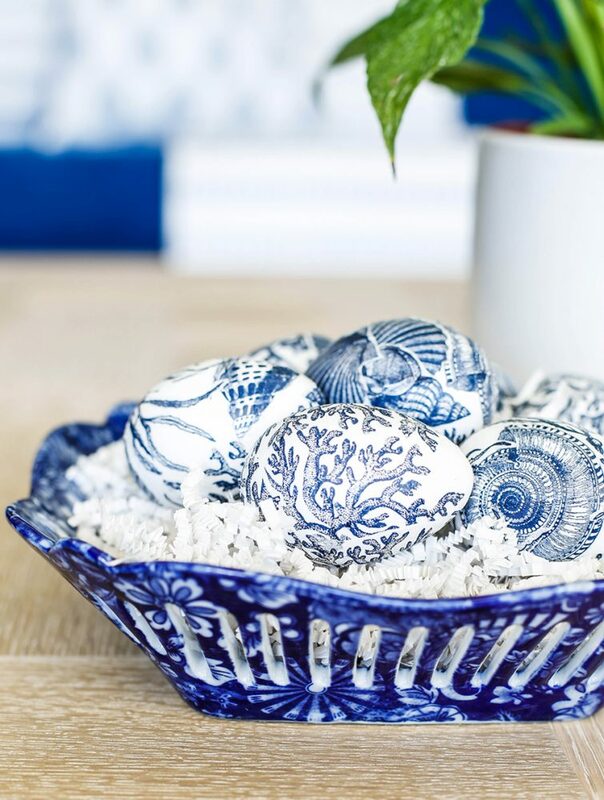 These blue and white decoupaged Easter eggs from Your Marketing BFF are a beautiful Spring decorating idea! 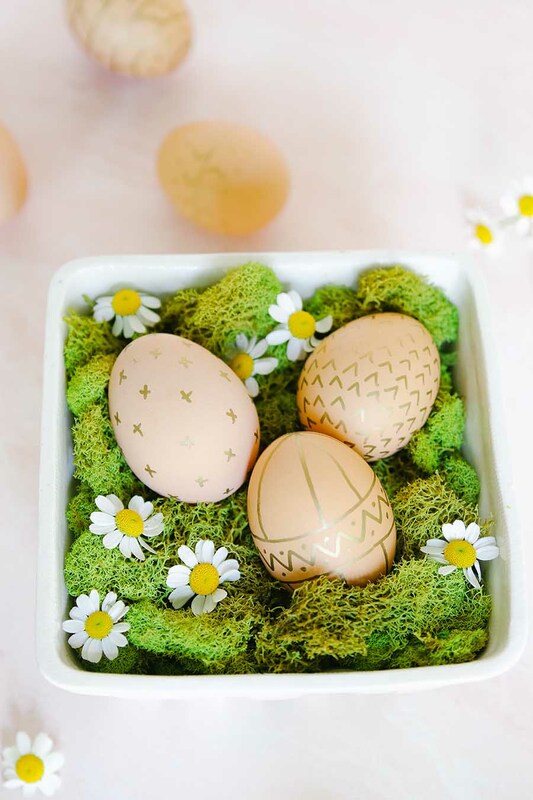 Want some ideas on decorating brown eggs for Easter? Modern Glam has some gorgeous ones! 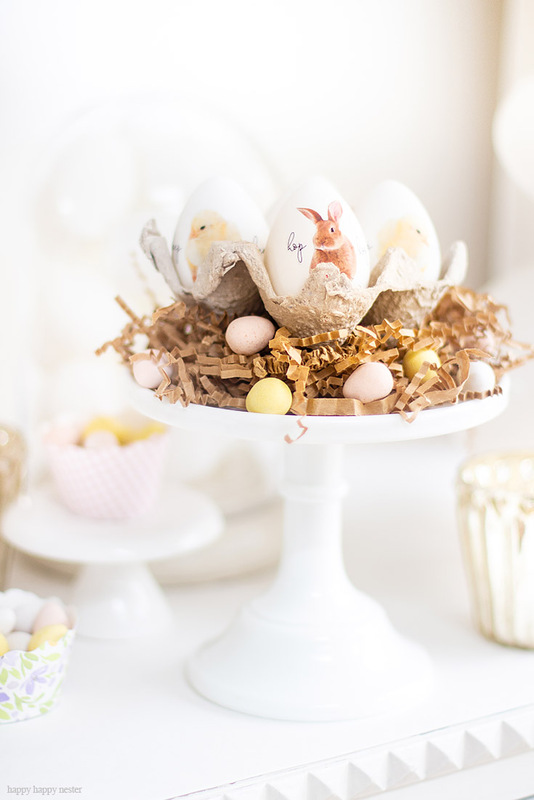 I’m loving this unique DIY Gilded Easter Eggs Carton Wreath from tatertots + jello! 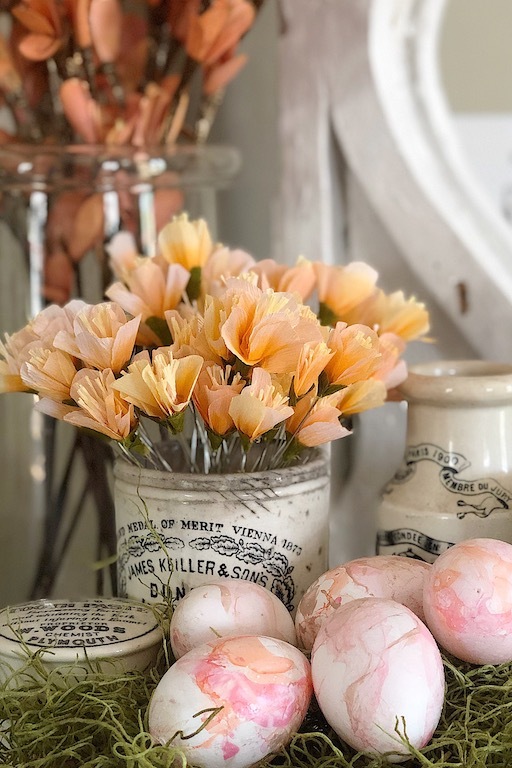 And how about this Vintage Flowers Easter Eggs for a beautiful Spring craft from Shabbyfufu? 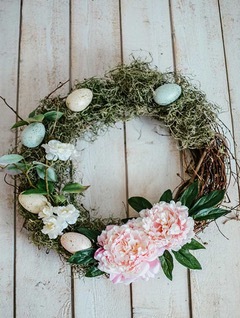 Isn’t this easy Easter egg wreath from Hallstrom Home gorgeous? Learn how to make it here. 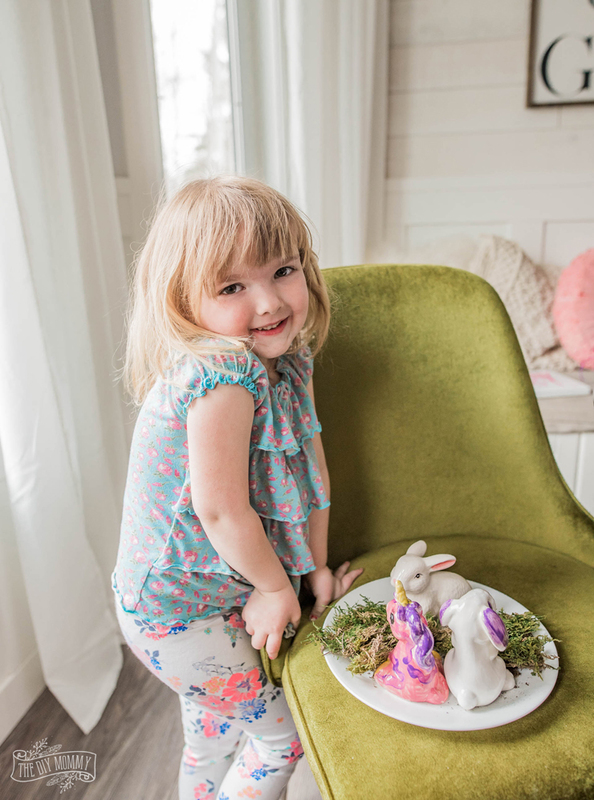 Happy Happy Nester is sharing 9 unique easter egg ideas and they’re so sweet! 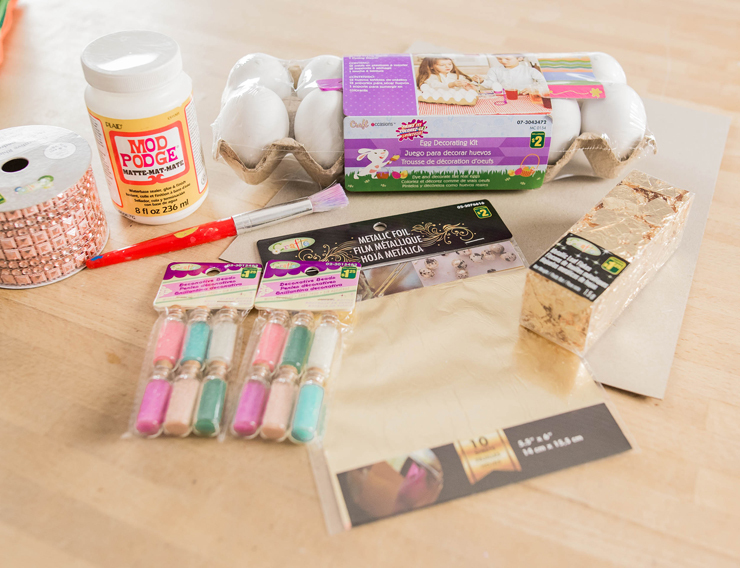 Want to learn how to color Easter eggs? 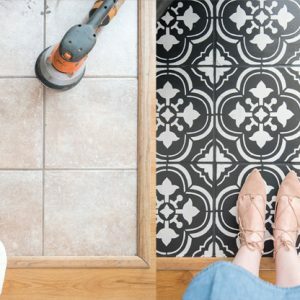 My 100 Year Old Home is sharing some gorgeous ideas! 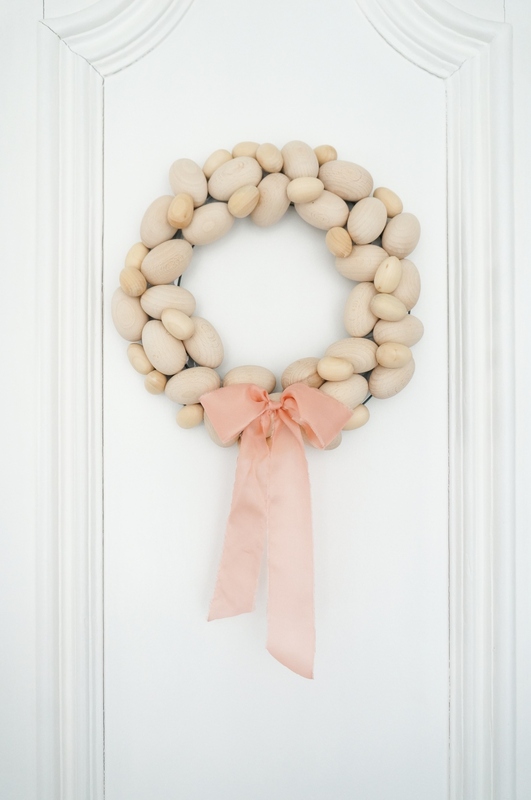 Finally, this Wooden Egg Wreath from Finding Lovely is a beautiful way to spruce up your Spring front door! Christina these are just the sweetest! I’m saving this idea! It’s just adorable. 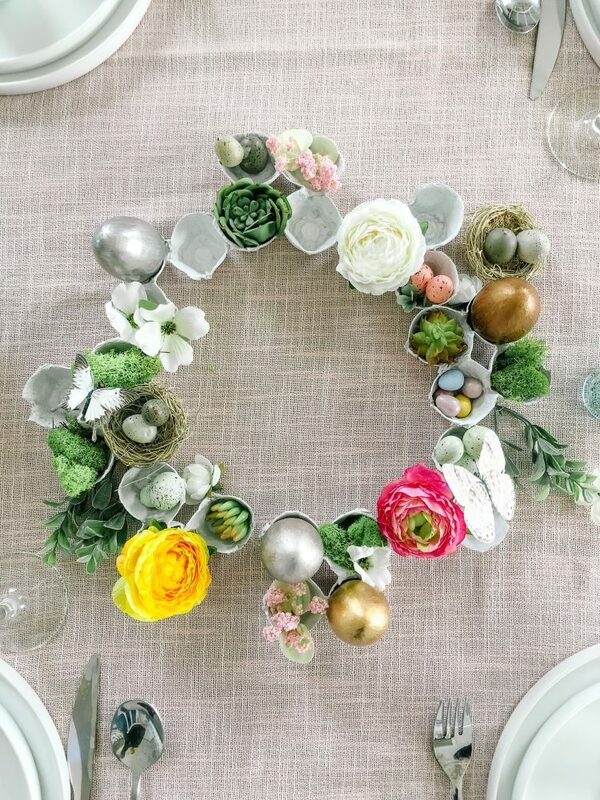 This is just darling Christina and I LOVE crowns so may give it a try! Those are too cute! We love them! Wow, you are so creative! Thank you for the clear instructions. 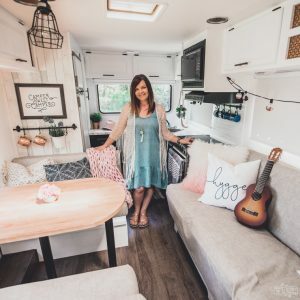 I LOVED your project the moment I saw it! These are so beyond sweet. 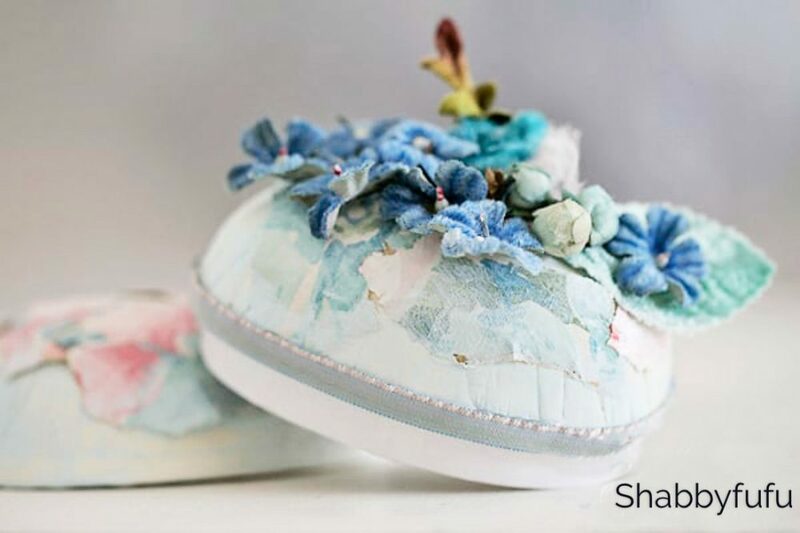 I made something similar with paper ears, but love the softness of the felt. 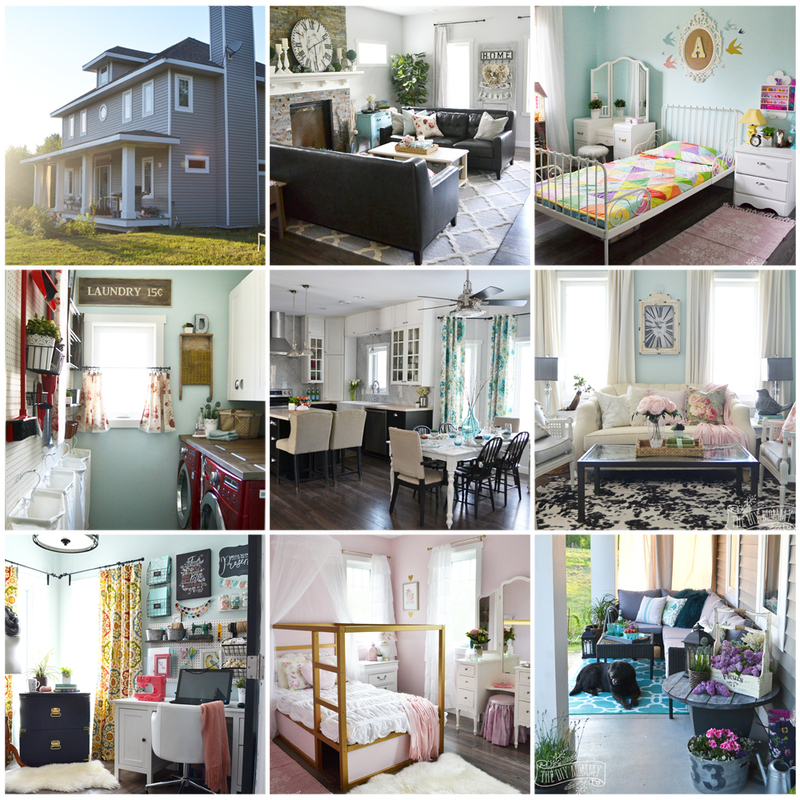 Pinning, I love this.